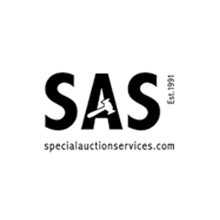 SAS was established in 1991 as a specialist and traditional firm of auctioneers. Over the years we have been commended for the level of service we have provided to our sellers and buyers. Our two Newbury salerooms are strategically located in the South of England within easy reach of London and the rest of the UK.